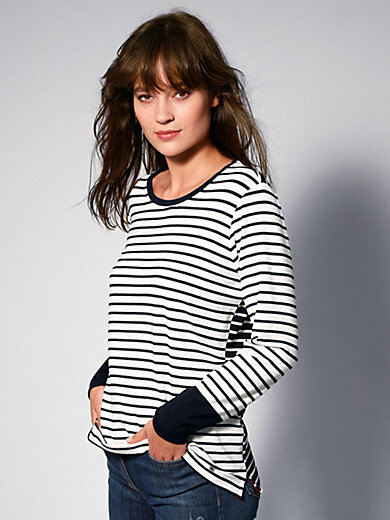 Round neck top by BRAX FEEL GOOD with striped pattern in nautical look − reversed colours at the back. Casually styled with contrasting facing on the small side vents. 95% viscose, 5% elastane. Length approx. 26ins. The round neck top is machine washable.